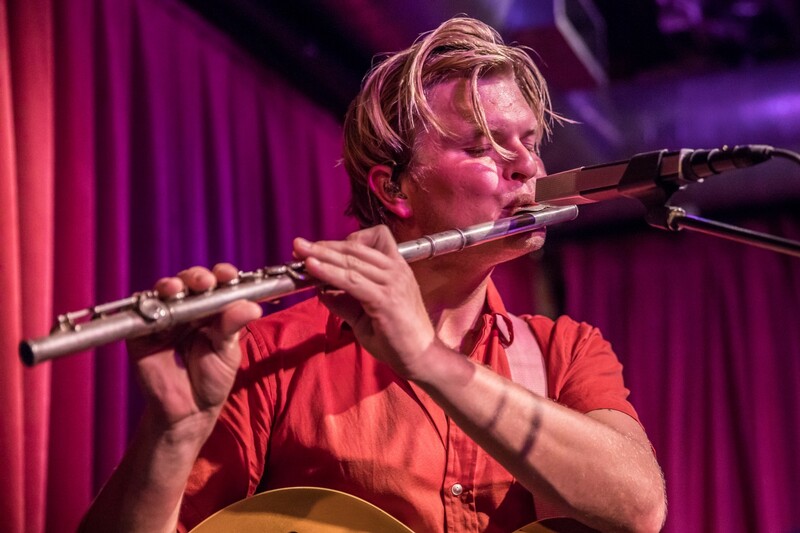 With the way the world moves now — one tweet, status update or Instagram photo at a time — five years between studio albums can feel like an eternity, even when your last one received as much critical acclaim as Grizzly Bear’s did. But for the quartet that formed in Brooklyn more than 15 years ago, 2012’s Shields served as more than just a strong follow-up to the group’s seminal LP Veckatimest. The album, which saw the band purposely take a more collaborative approach during the writing process than ever before, became Grizzly Bear’s highest-charting effort, surpassing the No. 8 position that Veckatimest reached on the Billboard 200 by one spot. 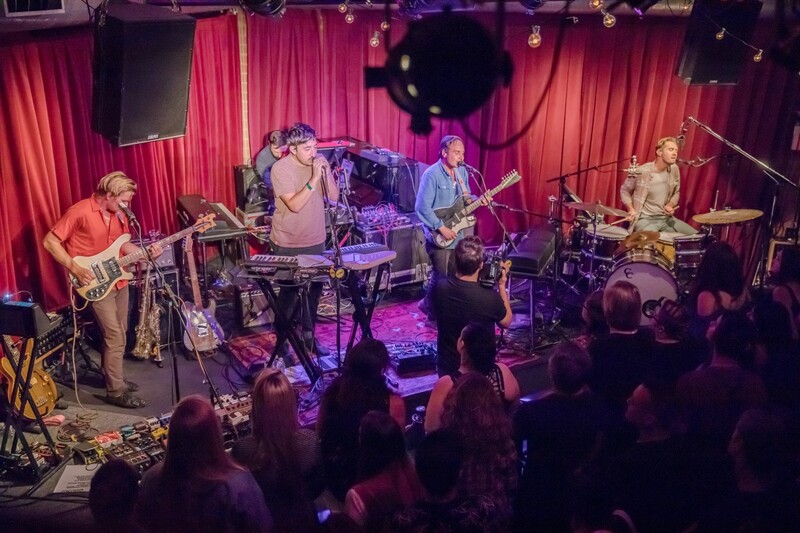 And even with the struggles that they faced along the way, with the band scraping most of the early material it recorded for Shields in Marfa, Texas, and subsequently starting over by returning to Cape Cod, Mass., where they conceived their sophomore LP Yellow House, Grizzly Bear managed to still come out on top. 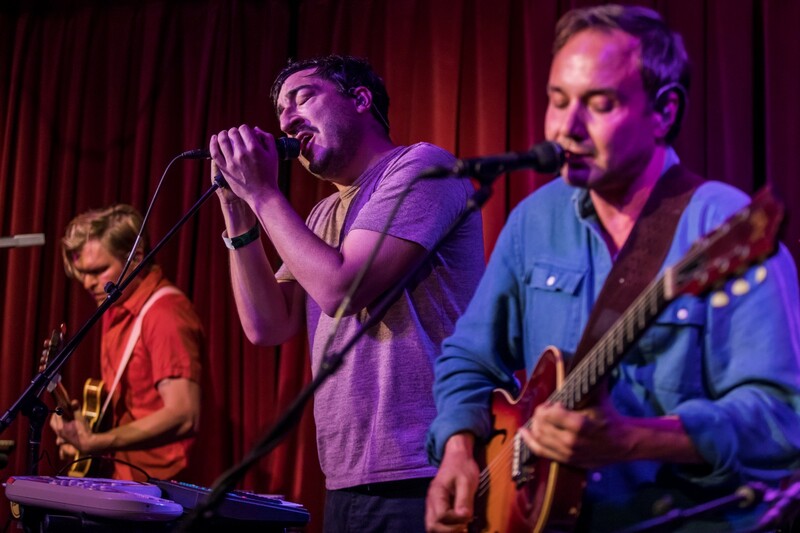 If one thing is clear, it’s that patience has been a virtue for Ed Droste (vocals, keyboards, guitar), Daniel Rossen (guitar, vocals), Christopher Bear (drums, vocals) and Chris Taylor (bass, vocals). It’s why we shouldn’t be surprised that their fifth full length Painted Ruins, which dropped in mid-August on RCA (their first with the label since they left Warp), took almost twice as long to reach fans as any of their previous albums did and yet, at the same time, holds just as much water as any of them, Veckatimest included. 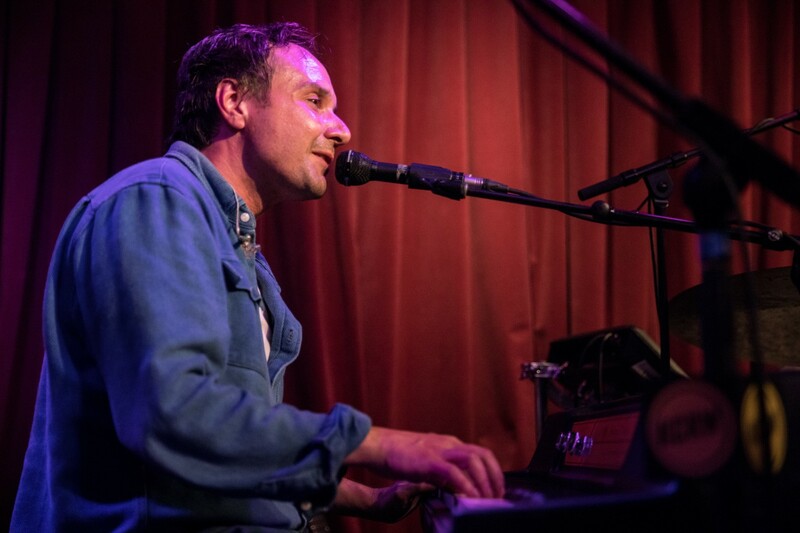 Painted Ruins, in fact, could very well be Grizzly Bear’s most accessible album to date with four singles and one of them being “Four Cypresses”, which opened their private show in Santa Monica for KCRW’s Apogee Sessions last Tuesday. Apogee Studio has been a special place for artists and bands to showcase new music over the last five-plus years, but this performance was particularly significant, and not just because it was a celebration of Grizzly Bear’s latest feat, but also because it marked the 75th live session at Bob Clearmountain’s private recording studio since he first opened his doors to KCRW back in 2011. From Ryan Adams to The War on Drugs (read our review here) and everyone else who has graced the room’s diminutive stage, it’s arguably KCRW’s best series to date, bringing fans as close as humanly possible to some of their favorite musicians in a setting that’s as intimate as you’ll find anywhere. While the champagne flowed on this celebratory night, that intimacy played exceptionally well for Grizzly Bear, as the band and touring member Aaron Arntz (piano, keyboards) dug into tracks almost exclusively from Painted Ruins for the first half of their set before Rossen and Taylor both sat down with KCRW Music Director Jason Bentley to share their own stories as a band (and a few laughs, too). But despite some awkward moments during the interview, Bentley did offer an interesting observation, at one point describing Grizzly Bear’s music as “chamber pop.” For those not familiar with the term, chamber pop refers to a style of rock ‘n’ roll that was born out of the 60’s by groups like The Beach Boys and predicated on the use of strings, horns, piano and vocal harmonies, the latter of which being a characteristic you can often hear in Grizzly Bear’s music. 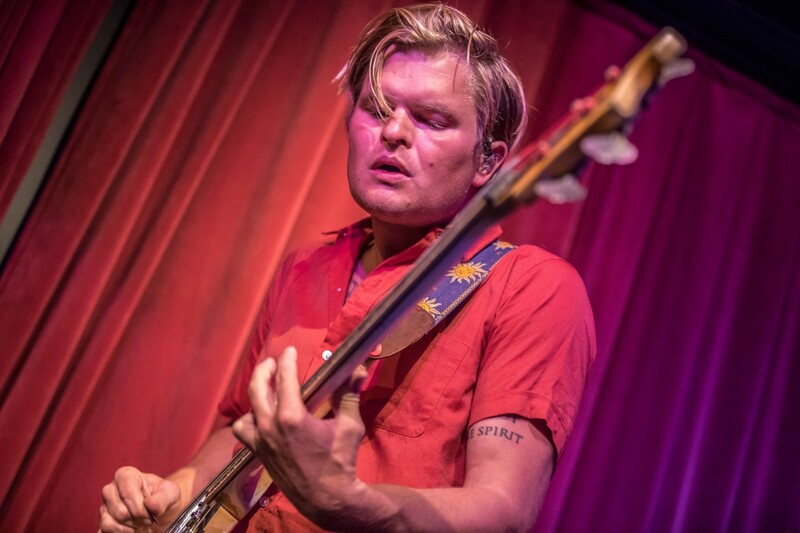 Because it’s not all that common that you find a band with members who all can sing (and do it well collectively), and with that in mind, Grizzly Bear are certainly among rare company these days. 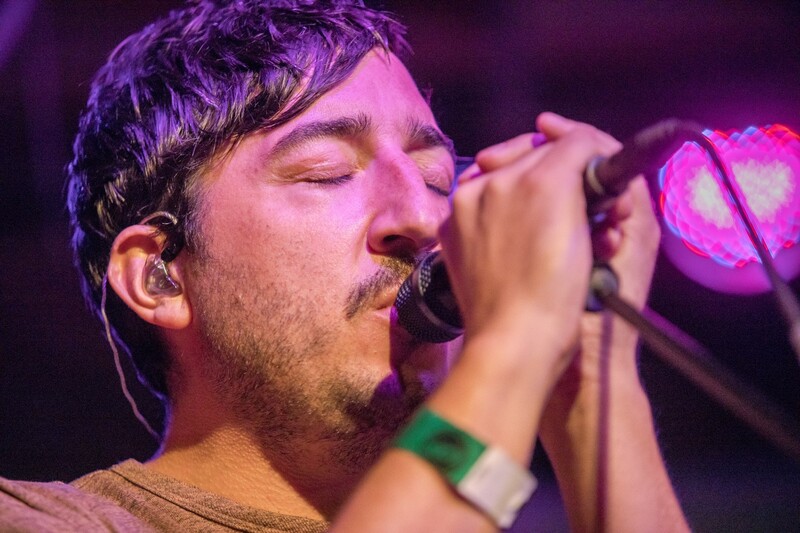 For a long time, I couldn’t quite put my finger on Grizzly Bear’s sound. The only descriptor I could conjure up was the lame and trite “indie rock” label, even though I knew I was doing a total disservice to the music. But as the four-piece ran through some of its fan favorites, from “Sleeping Ute” to the wildy popular “Two Weeks” that hinges on a beautiful vocal harmony, I thought about what Bentley had said minutes earlier and just how much truth there was to it. 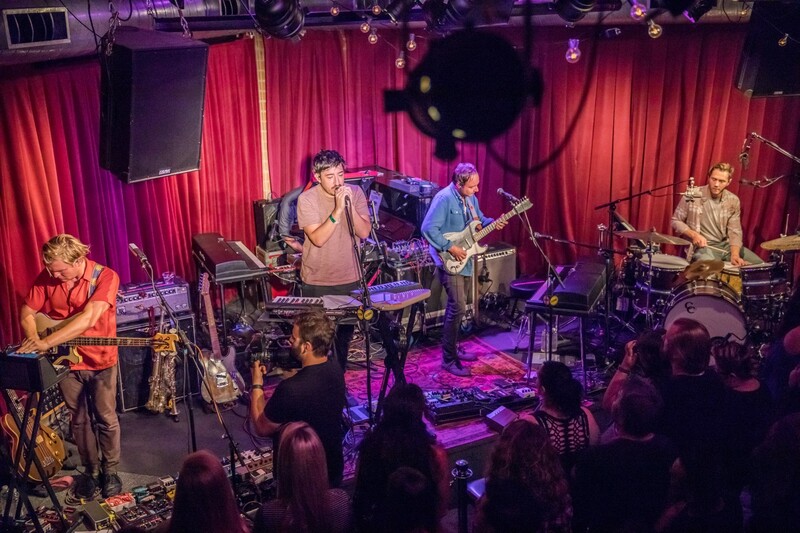 Chamber pop might be a thing of the past, but if there’s one band making it sound cool again, Grizzly Bear, as we came to find out, are that band.